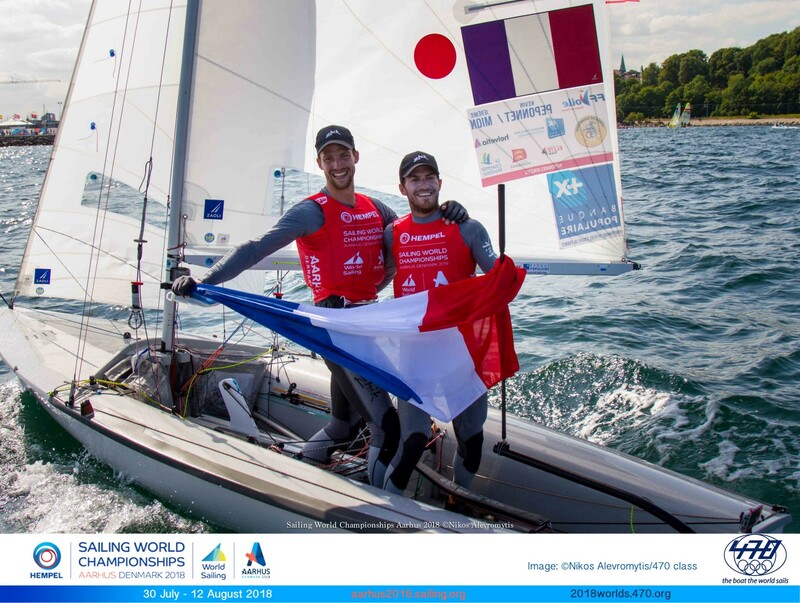 Having started the day third overall, France’s Kevin Peponnet and Jermie Mion finished third in the medal race and that was enough for gold. 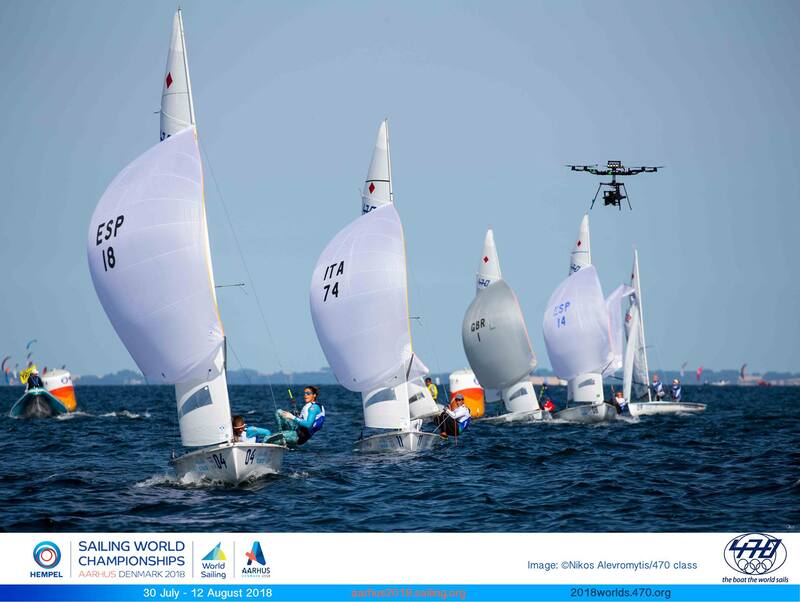 Tetsuya Isosaki and Akira Takayanagi - one of nine Japanese men’s 470 teams in Aarhus and one of three in the medal race - started the day second (albeit level on points with the French) and took silver by finishing fifth. 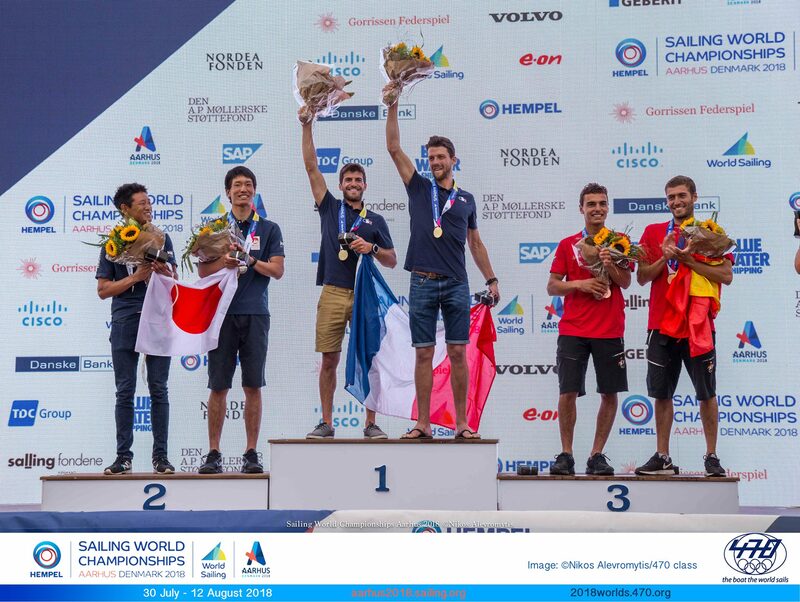 Spaniards, Jordi Xammar Hernandez and Nicolás Rodriguez Garcia-Paz, who had started the day in fifth, 14 points behind the Swedes, took a surprise bronze after a magnificent second-place in the medal race. Nevertherless, the hardest heartbreak in Medal Race was for Sweden. 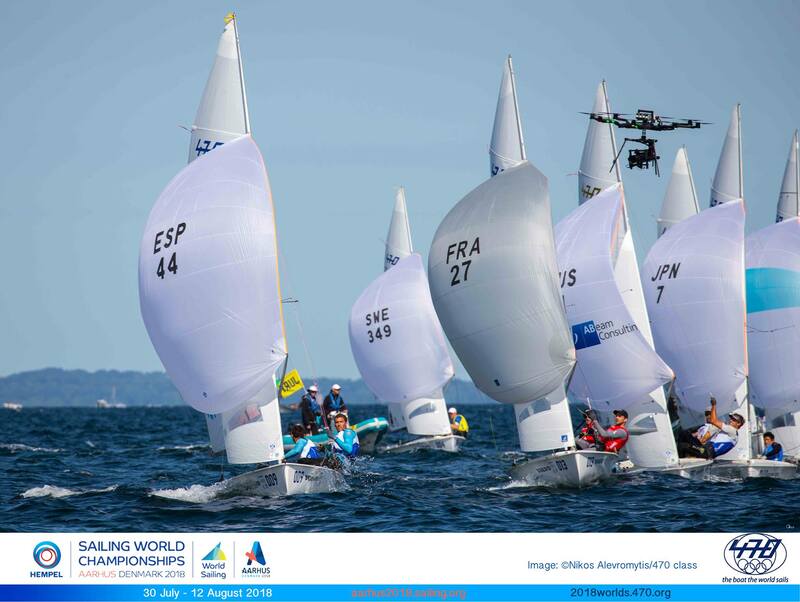 The Swedish 2018 European Champions, Anton Dahlberg and Frederik Bergström, had led by six points overnight - after leading all week - and third place or better would have guaranteed gold. They came last and slipped out of the medals entirely. "It was so intense. My heart is still beating so hard. 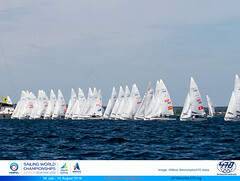 That was the hardest race I’ve ever sailed in my life," Peponnet said. "The hardest bit of the race for me was to catch the other guy. To focus on your speed, with all the waves and chaos around you, it’s very hard. "The goal (this week) was to be less than 10 points from the leader, for a chance to win the title. We managed to keep that distance between the first place and us all week long. When an opportunity comes, you can grab it and that is what we’ve done, and we’ve won the title." The Swedes were understandably disconsolate. 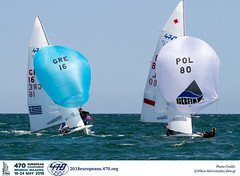 "We didn’t execute the medal race we wanted and…yeah…as bad as it could get probably," Dahlberg said. 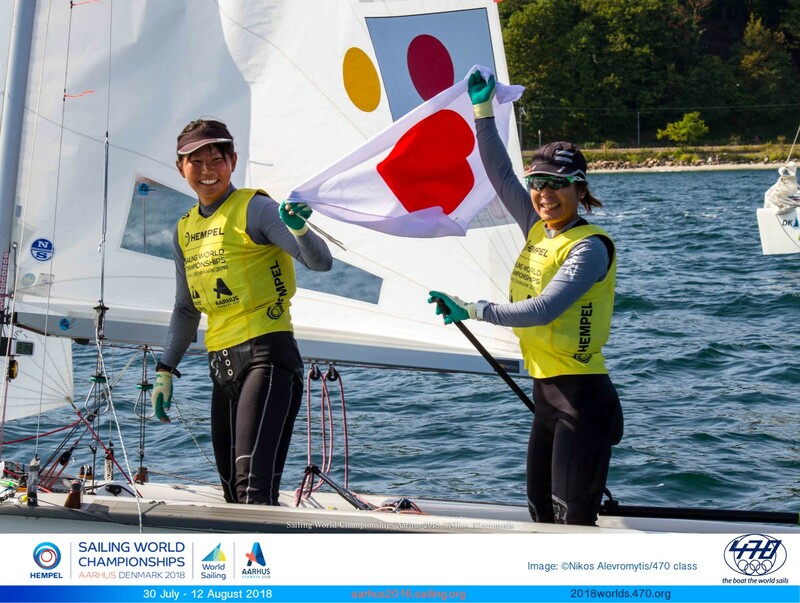 Japan’s Ai Kondo Yoshida and Miho Yoshioka underlined Japan’s strength in the 470 class by winning a relatively comfortable gold. 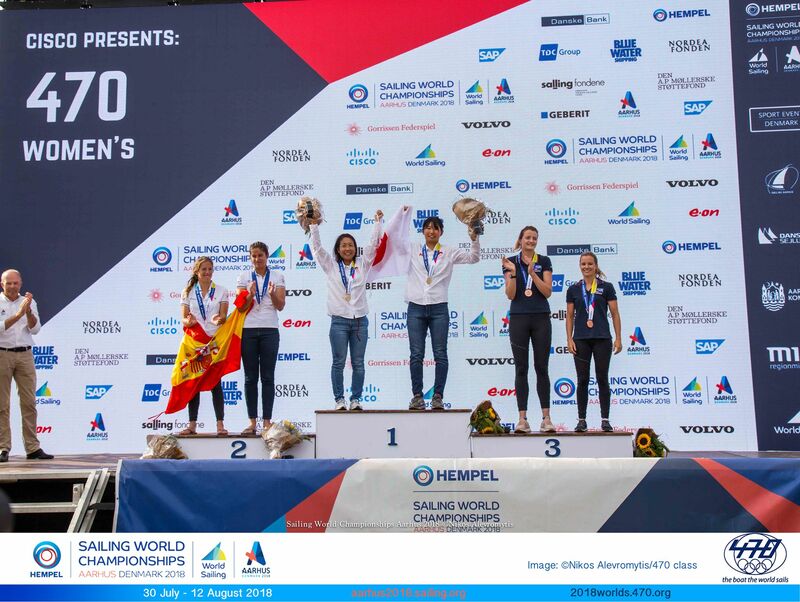 They started the day top and finished fifth in the medal race but they had done their maths and kept France’s Camille Lecointre and Aloise Retornaz, bronze medallists at the 2016 Rio Olympics ahead of the Japanese crew in fifth, behind them. The French slipped to seventh - in the end, sixth would have been enough for bronze, so close were the margins. "We were very nervous at the beginning of today because we were in first place," Yoshida said. "I felt a lot of pressure, but finally I got a gold. 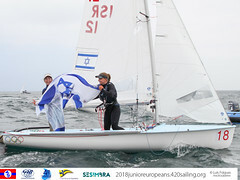 The medal race was the hardest of the week, it was very close, but we weren’t worried when the British passed us because we had worked out the mathematics." Hannah Mills, the Rio 2016 Olympic champion and her new crew, Eilidh McIntyre, took bronze but it could have been silver had they not lost around 15 seconds after confusion over who had been OCS at that start. The Slovenians were over the line, but the two British teams, uncertain of their status, went back when they did not need to.